When selling a home its important to present the property in it’s most neutral fashion. What does that mean? To make your own home neutral you need to make sure your personal items are put away to allow a buyer to see themselves in the home with their things and their family. Doing this allows a buyer to envision their belongings and personal items to be present in the home their interested in. If you have a new home tract close to your own home go check it out. It doesn’t matter what dimensions or size the house is. What you will see are some splendidly (however sparsely) furnished houses that anybody might stay in — with the emphasis on “anybody.” They’re neutral and faceless. You might see a baseball glove within the boy’s room, however no personal pictures in the home. Go through your home and remove or replace personalized items and photos. Family pictures, personal craft items in your families last name, etc. These items should all be removed to ensure the home is presented in its most neutral, faceless fashion. Following these tips will ensure your success to make your own home neutral and appeal to the majority of the buyer pool. No don’t leave your home with bare walls and shelves though. There needs to be life and character in the home – just no individual character. 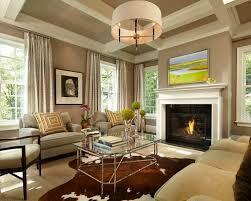 The rationale behind making a property faceless and anonymous is that you want people to see themselves in your home. When a possible homebuyer sees your loved ones images hanging on the wall, it places you in the house and momentarily shatters their illusions about residing in the home themselves. Put away household photographs, sports activities trophies, collectible objects, knickknacks, and souvenirs. Lease a storage space for just a few months and put the items within the storage unit. Don’t simply put the items in the attic, basement, storage or a closet. A part of getting ready to put a home on the market is to take away “litter,” and that’s the subsequent step in getting ready your own home on the market. For more information to make your own home neutral & faceless, please contact us or leave a comment below. We’d appreciate the opportunity to assist you!